VRUS is also subscriber A. pick for short. The current pps ($50) and cap (almost $2B) of this company are really absurd. "VRUS primary focus is on the development of nucleoside/tide analogs as oral therapeutics for the treatment of chronic hepatitis C virus (HCV) infection. Nucleoside/tide analogs are a class of compounds, which act as alternative substrates for the viral polymerase, inhibiting viral replication. The company has three clinical stage product candidates, including RG7128, an HCV cytosine nucleoside polymerase inhibitor; PSI-7977, an HCV uracil nucleotide analog polymerase inhibitor, which in Phase IIb clinical trial; and PSI-938, an HCV guanine nucleotide analog polymerase inhibitor, which in Phase Ib clinical trial. It is also developing PSI-661, an HCV guanine nucleotide analog polymerase inhibitor; and PSI-7977, PSI-938, and PSI-661." So, there is no even one phase III trial. May be VRUS HCV drug is a super effective drug and cure all HCV patients? It seems like that is very unlikely. Because even in phase II trials VRUS and its partners already trying to use the combination of new VRUS drug with standard of care (SOC). So, in Phase II trial "Safety Study to Investigate PSI-7977 in Combination With SOC in Treatment-Naïve HCV Patients With Chronic Hepatitis C Virus(HCV) Infection" they are using PSI-7977 for 12 weeks, administered in combination with Standard of Care (SOC; pegylated interferon alfa-2a, ribavirin: PEG-IFN and RBV), in treatment-naïve patients with HCV genotypes 1, 2 or 3. Another phase II trial "Open-Labeled Study of PSI-7977 and RBV With and Without PEG-IFN in Treatment-Naïve Patients With HCV GT2 or GT3"
I don't see a "strong HCV drug" in these numerous trials. I see only the attempts to mask the weakness of this new VRUS drug. Disclosure: I shorted VRUS today because it's artificially high price stock. Current pps is absurd and cap $2B is ridiculous for the company at such early stage of development. Covered VRUS today. It's definitely stock pumped by big holders, so they will keep pps at $50 and higher (it's easy if you keep all float). Any way VRUS is still in my short list. I had a very big temptation to short VRUS at last "investomadness" attack and finally I did it at average $67. Still can't understand investors (both individual and funds) that bought VRUS at $69. "Background: PSI-938 (purine) and PSI-7977 (pyrimidine) are nucleotide analogs in development for the treatment of HCV infection. Complementary resistance profiles, high barriers to resistance, broad genotype coverage, and independent phosphorylation pathways characterize this potentially ideal DAA combination. Methods: Treatment-naïve, non-cirrhotic patients with HCV GT1 received: 1) PSI-938 for 14 days; 2) PSI-938 days 1-7 and PSI-938+PSI-7977 days 8-14; 3) PSI-7977 days 1-7 and PSI-938+PSI-7977 days 8-14; or 4) PSI-938+PSI-7977 for 14 days. 10 patients per cohort (2 placebo) received PSI-938 300mg QD and/or PSI-7977 400mg QD. Safety, pharmacokinetics, HCV RNA, and viral resistance were assessed. Results: 30 patients were enrolled in cohorts 1-3 with baseline HCV RNA values of 7.0, 6.2 and 6.3 log10 IU/mL, respectively. Monotherapy (14 days) and 7+7 day combinations were generally safe and well tolerated with no SAEs and no discontinuations. Steady-state pharmacokinetics from monotherapy (day 7) and the combination (day 14) confirmed the absence of clinically-relevant PK interactions between PSI-7977 and PSI-938. Monotherapy PSI-938, monotherapy PSI-7977, or combination PSI-938+PSI-7977 provided profound and consistent reductions in HCV RNA with HCV RNA < LOD (15 IU/mL) as early as day 3 of the monotherapy phase. PSI-938 300mg QD for 14 days yielded 50% (4/8) < LOD and 63% (5/8) < LOQ (43 IU/mL). The addition of the second nucleotide on day 8 provided incremental antiviral effect, with 94% (15/16) combination subjects' HCV RNA < LOD and 100% < LOQ by day 14. Median reductions from baseline in HCV RNA ranged from 5.0 to 5.2 log10 IU/mL across cohorts 1-3. The final cohort of PSI-938+PSI-7977 for a full 14 days (cohort 4) has completed enrollment. Conclusions: PSI-938+PSI-7977 is the first purine+pyrimidine combination explored in HCV. Monotherapy with either nucleotide analog provided profound antiviral responses rivaling the best antiviral responses reported by combinations employing 2 or more DAAs. This 14-day proof-of-concept study demonstrates excellent safety/tolerability, lack of antagonism (PK or antiviral), and no virologic breakthrough. A Phase 2 study enrolling all HCV genotypes will explore different durations of this promising purine+pyrimidine combination. Both PSI-938 and PSI-7977 are guanine nucleotide analogs and polymerase inhibitors for the treatment of chronic HCV infection. Both components are experimental drugs with unknown side effects. The nucleotide analogs are a potential chromosome mutagen when incorporated into cellular DNA. Thus both VRUS drugs (and especially their combination) need special animal carcinogenicity studies. 2000)." p. 64 from this paper. BTW the nucleotide analogs are enough effective drugs against viruses. For example, acyclovir is a guanosine analogue antiviral drug, marketed under trade names such as Cyclovir, Herpex, Acivir, Acivirax(Mash-Premier), Zovirax, Aciclovir (Sanofi-Aventis) and Zovir (GSK). One of the most commonly-used antiviral drugs, it is primarily used for the treatment of herpes simplex virus infections, as well as in the treatment of herpes zoster (shingles). Is it really effective drug? I don't know because I never use it. Zidovudine (INN) or azidothymidine (AZT) (also called ZDV) is a nucleoside analog reverse transcriptase inhibitor (NRTI), a type of antiretroviral drug used for the treatment of HIV/AIDS. It is an analog of thymidine. Actually it's very important statement: "this allows HIV to become AZT-resistant over time"
It's usually happens for all inhibitors designed for bacteria and viruses. And the using of two of them (like VRUS did recently in "proof-of concept" study: PSI-938+PSI-7977) will lead to HCV to become resistant to both inhibitors. BTW nucleotide analogs does not destroy the virus infection, but only delays the progression of the disease and the replication of virus, even at very high doses. During prolonged nucleotide/nucleoside treatment, viruses have the ability to gain an increased resistance to them. BTW, what do you see when you open VRUS website? I will not continue. Sometimes you will see the men. Recent report asked: Who Will Win the Hepatitis C Market? It will be more correct to ask: Who will win the HCV market in nearest future i.e. in 2011? We really have only 2 candidates and VRUS is not among them: VRTX and MRK. CAMBRIDGE, Mass.--(BUSINESS WIRE)--Vertex Pharmaceuticals Incorporated (Nasdaq: VRTX) today announced results from the Phase 3 ILLUMINATE study, which was designed to evaluate whether there was any benefit to extending therapy from 24 to 48 weeks in people whose hepatitis C virus (HCV) was undetectable at weeks 4 and 12 of treatment (extended rapid viral response or eRVR). People in the trial who met these eRVR criteria and who remained on treatment were then randomized at week 20 to receive 24 or 48 weeks of total treatment. People who did not meet these criteria were assigned to 48 weeks of pegylated-interferon and ribavirin therapy. Sustained viral response (SVR or viral cure) rates of 92% and 88% were observed in the randomized 24 and 48-week telaprevir-based treatment groups, respectively. 72% of all 540 people treated with telaprevir in the study achieved a viral cure. The safety and tolerability profile of the telaprevir-based regimen was consistent with results reported previously from the pivotal Phase 3 ADVANCE study. *Reflects people whose hepatitis C virus was undetectable (<25 IU/mL and undetectable by Roche COBAS Taqman HCV test) at weeks 4 and 12 (eRVR) and who remained on treatment through week 20. "MERCK: Merck filed an NDA for boceprevir earlier this year. The filing was based on phase III studies - RESPOND2 study was in subjects who had failed prior therapy, whereas SPRINT2 study was in treatment naïve subjects. Boceprevir was added to the background of interferon and ribavirin, and approximately 65% of subjects responded as measured by SVR. Placebo response rate was in the 25% - 35% range. Anemia was reported in approximately twice the number of subjects who received boceprevir compared with placebo, and was managed by administration of erythopoeisis stimulating agents (such as EPO, etc)." FDA panel will vote positively for one (or both) drug. Just because HCV patients need drug now. VRUS phase II trial results will be released at the end of April or later when the HCV market winner (or winners) will be already known. VRUS HCV treatment is also new drug (PSI-7977) in Combination With SOC (Pegylated interferon alfa-2a (PEG-IFN)Pegasys® and Ribavirin (RBV) tablets. So, what is approximate sustained viral response (SVR or viral cure) rates for VRUS PSI-7977 in combination with SOC? * Following 28 days of treatment with PSI-7977 100mg QD with Pegasys plus Copegus, patients achieved a mean 5.3 log10 IU/mL decrease in HCV RNA and 88% (14 of 16) achieved HCV RNA below the limit of detection (<15 IU/ml), orRVR. Thus we have Telaprevir 92%SVR for 24 weeks against approximate PSI-7977 94% SVR for 28 days. May be PSI-7977 is really effective drug but VRUS needs to prove in at least 2-3 phase III clinical trials. It will take at least 4-5 years. During this time VTRX (and may be MRK) will take all HCV market. Question for current VRUS holders: What will happen with VRUS bubble pps after panel positive vote for Telaprevir or boceprevir? As any too inflated bubble it should burst. I don't understand why equities research analysts at JPMorgan Chase & Co. (NYSE: JPM) boosted their price target on shares of Pharmasset (NASDAQ: VRUS) from $49.00 to $100.00 and analysts at Zacks Investment Research upgraded shares of Pharmasset from an “underperform” rating to a “neutral” rating in a research note to investors on Wednesday, March 9th. Also, analysts at ThinkEquity upgraded shares of Pharmasset from a “hold” rating to a “buy” rating in a research note to investors on Tuesday, March 8th. 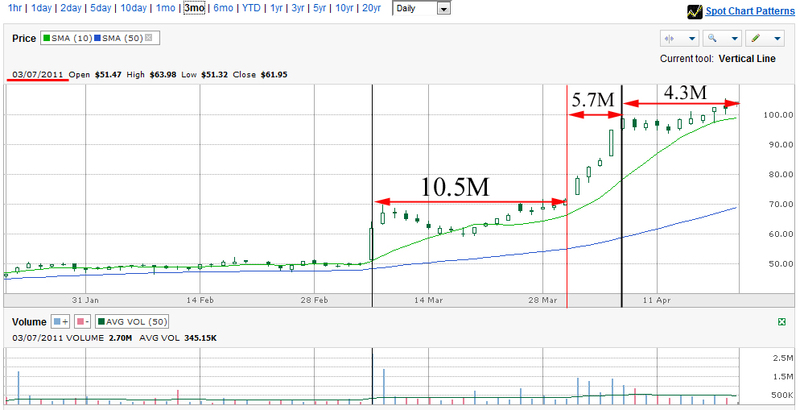 They now have a $75.00 price target on the stock, up previously from $50.00. May be VRUS will be HCV market winner. And VRUS pps will be $100.In 2016-2017 or later. Now VRUS needs giant money to start several phase III clinical studies with thousands patients. Do they have this money? "Revenues were $0.2 million during the quarter ended December 31, 2010 compared to $0.3 million for the quarter ended December 31, 2009 and include amortization of up-front and subsequent collaborative and license payments received from Roche. Net cash used in operating activities during the three months ended December 31, 2010 was $24.0 million. Pharmasset held $102.7 million in cash and cash equivalents as of December 31, 2010. On January 26, 2011, we completed a common stock offering raising an additional $123.4 million." They do have some money for a couple years. But the should do next stock offering to pay for several very expensive phase III trials. Disclosure: I have short VRUS positions. Will keep it through end of April when we will know real HCV market winner. VRUS is using new tactics to attract investor's attention: a demonstration of "multiple balloons". Balloons that have different colors and sizes. "Once DailyPSI-7977 plus PegIFN/RBV: Rapid Virologic Suppression in Treatment Naive Patients with HCV GT2/GT3 in a Phase 2b Trial" will be presented in the HCV Drug Development session on Friday, April 1 at 4:15pm CET. Authors of the study are Lalezari, J. et al. "Once Daily PSI-7977 Plus Peg-IFN/RBV in HCV GT1: 98% Rapid Virologic Response, Complete Early Virologic Response: The PROTON Study" will be presented in a late breaker poster session on Thursday, March 31. Authors of the study are Nelson, DR. et al. "PSI-352938, ANovel Purine Nucleotide Analog, Exhibits Potent Antiviral Activity and No Evidence of Resistance in Patients With HCV Genotype 1 Over 7 Days" will be presented in a poster session on Saturday, April 2. Authors of the study are Rodriguez-Torres M. et al. "Mechanism of HCV Replicon Resistance to PSI-352938, a Cyclic Monophosphate Prodrug of 2'-alpha-F-2'-beta-C-Methylguanosine" will be presented in a poster session on Saturday, April 2. Authors of the study are Lam A. et al. "Once Daily Dual-Nucleotide Combination of PSI-938 and PSI-7977 Provides 94% HCV RNA Thursday, March 31. Authors of the study are Lawitz E. et al. Thus, It's very strange to see that VRUS used the combination of PSI-938 and PSI-7977 for HCV. May be it is effective (for short time) but HCV will become resistant to both inhibitors very soon. I think that VRUS presented this "balloon" with only one purpose: to amaze investors and inspire them to buy another much bigger balloon i.e. VRUS itself. I should admit that I again undervalued this designed "algorithmic Ponzi scheme". Hope we will know who was designed and played this "bubble" game. Well, I understand that we live in the "theater of absurd" (another name of this is life) but sometimes even here we can observe unthinkable things. Conclusion: VRUS stock is manipulated by some funds (might be VRUS "big holders" that have 40-50% of whole float). They designed trade algorithms to create this "crazy growing" chart. Other funds (that not is this "designer circle") are buying it because it is growing. Nobody will sell growing stock, so it can go to really unbelievable level (someone already suggested $150). It's funny but SEC or law firms will never investigate this stock Ponzi scheme because they will never have a proof. BTW there are only "Sell" recommendation for VRUS. Read recent one. Well, time will tell what is the real VRUS pps. "The World Health Organization estimates 200 million people worldwide are infected with HCV, with an additional 3 to 4 million contracting the disease each year. The global market for HCV treatment is currently around $2 to $3 billion." Thus, VRUS cap ($3.5B) is already bigger than current global HCV market ($2-3B). One can argue that VRUS will take over an entire HCV market in the future. Is it possible? Well may be it is possible for some company that will develop HCV drug that will completely cure HCV i.e. completely clean human body from this virus in 100% of patients with chronic hepatitis C.
But unfortunately there no such miracle drug candidates among the pipeline for hepatitis C that consists of around 169 molecules currently in development. Most of these molecules are first-in-class and are promising better safety and efficacy profiles. There are several molecules in the Phase III clinical trial development stage: SCH 503034(Merck), RG7128 (Roche) and VX-950(Vertex and Tibotec pharmaceuticals) are among the most promising molecules in pipeline for the treatment of hepatitis C.
So, definitely VRUS cap $3.5 B is a bluff and "bubble". You know the method how to force lazy donkey to run fast? Just hand in front of its snout a tuft of fresh green grass. The donkey will run in attempts to catch and eat this grass. Actually this is a story about VRUS investors: a mercenary analyst showed you a $100 target and you are buying VRUS at any prices now and waiting for this bait. But like a donkey you will never have it. Moreover it will lead you in a trap. Recently some news were published. This news were never mentioned on VRUS page. It's strange... This HCV treatment is direct rival of VRUS interferon-free treatment. Bristol-Myers Squibb Co. (BMY)’s cocktail of two experimental drugs cured four hepatitis C patients in the first success for a therapy that excludes often-toxic existing drugs. The combination had a higher rate of success when paired with the current standard treatment in the 21-person trial, curing nine of 10 patients, researchers said today at the Berlin meeting of the European Association for the Study of the Liver. The study points to the next generation of drugs for the evasive virus, said Mark Thursz, a professor of hepatology at Imperial College London and vice-secretary of EASL. Bristol-Myers, based in New York, is among about a dozen companies trying to make better drug combinationsthat either include interferon, a decades-old shot that causes flu-like symptoms and only works in half of patients, or that replace interferon entirely. At stake is leadership in a market that Jefferies International Ltd. estimates may total $15 billion a year by 2019. Bristol-Myers plans to begin the last trials required for regulatory approval this year, Douglas Manion, the drugmaker’s head of neuroscience and virology research, said in an interview. Today’s trial studied the Bristol-Myers drugs, BMS-790052 and BMS-650032, in patients for whom existing therapies hadn’t been successful, “the toughest-to-treat population,” Manion said. Ten patients got the two drugs together with interferon and generic ribavirin. All showed no sign of the virus 12 weeks after the treatment was over. One patient had signs of virus at 24 weeks and was again virus-free in another follow-up test 35 days later. Of 11 patients who took the Bristol-Myers combination alone, five had cleared the virus from their bodies at the end of treatment. Four remained virus-free after 24 weeks. Patients may start treatment earlier if they aren’t faced with the toxic side effects of traditional hepatitis C drugs, said Howard Liang, a Boston-based analyst for Leerink Swann & Co., in an interview. “If you have an interferon-free regimen, the market expands fairly dramatically,” Liang said." Thus, BMS drug will compete with VRUS drug (interferon-free HCV treatment). And "Bristol-Myers plans to begin the last trials required for regulatory approval this year" i.e. phase III clinical trial for interferon-free HCV treatment. And 2-3 years later BMS may win FDA approval for this treatment i.e. much early than VRUS. NEW YORK (TheStreet) -- Here's what Jim Cramer had to say about some of the stocks that callers offered up during the "Mad Money Lightning Round" Tuesday evening. Pharmasset (VRUS_): "They struck gold with their new drug. I think that's a good one." So Cramer said about VRUS "that's a good one" and recommended to sell it. Only ugly liar can do it. It's always interesting to analyze a chart of company that show anomalous growth i.e. growth without any objective reasons (like good phase III trial results, PDUFA, good sales report). During this 40 days 20.5M shares of VRUS exchanged hands i.e. were sold and bought. Since % of Float Held by Institutional & Mutual Fund Owners = 34.4M we have only 3M of shares of VRUS available to trade. Then there is a questions: who damped 20.5M shares during last month? And who bought them? It's 55% of entire VRUS shares. One may argue that it was day trading activity. OK, may be 4-5M shares. But who damped other 15M? I see the only one simple answer: funds. They designed this "anomalous" growth, created rumor about VRUS "super-effective" drug for HCV, asked Cramer to say: "They (Pharmasset) struck gold... they have a new trial drug, an anti bio (biological warfare) drug... these are proprietary small drugs, and they look like Genzyme that got a takeover bid... that's a good one." Actually I agreed with "they (Pharmasset) struck gold..." VRUS management, owners and big holders do did gold ... for themselves. Especially interesting this:"an anti bio (biological warfare) drug". What Cramer want to say? "Biological warfare (BW), also known as germ warfare, is the deliberate use of disease-causing biological agents such as protozoa, fungi, bacteria, protists, or viruses, to kill or incapacitate humans, animals or plants. Biological weapons (often referred to as "bio-weapons" or "bio-agents") are living organisms or replicating entities (virus) that reproduce or replicate within their host victims. Biological weapons may be employed in various ways to gain a strategic or tactical advantage over an adversary, either by threat or by actual deployment. Like some of the chemical weapons, biological weapons may also be useful as area denial weapons. These agents may be lethal or non-lethal, and may be targeted against a single individual, a group of people, or even an entire population. They may be developed, acquired, stockpiled or deployed by nation states or by non-national groups. In the latter case, or if a nation-state uses it clandestinely, it may also be considered bioterrorism." I can't find any an anti bio drugs in VRUS pipeline. Conclusions: It seems like we have a new tactics designed by fund in biotech area: "bubble creation" i.e. they create billion cap companies from nothing, inspire other funds and investors to buy them at "artificially" high price where they start damping this stock (of course very carefully, average 400-500k per day). We have a critical point for VRUS in April 27-28 when FDA panel will vote for 2 potential HCV drugs. After approval one of them or both will will HCV market for next 4-5 years. VRUS investors will wait another 4 or so years before VRUS will start and finish 2 very expensive phase III trials. 1-for-100 reverse stock split, which will be effected after the close of market on April 14, 2011). "RBC Capital Markets analyst Jason Kantor predicts telaprevir will pass $3 billion in annual sales by 2013. Additional events that will drive Vertex shares: FDA approval, labeling guidelines, pricing of telaprevir and any delay of Merck’s boceprevir, he says. Vertex hired 175 sales people to launch telaprevir in the US. If the drug is approved outside the US, Johnson & Johnson (JNJ) and Mitsubishi Tanabe Pharma will sell the drug in other countries and will pay royalties to Vertex." What VRUS situation will be in 2013? Best case scenario: VRUS will initiate and continue first phase III trial for combination of PSI-7977 plus PegIFN/RBV. This combination will compete against FDA approved drug Telaprevir with confirmed overall cure rates of 73 percent and 79 percent at weeks eight and twelve in one of its clinical trials, compared to 46 percent in the control arm. Since phase III trials are very expensive VRUS will need more money = dilutions. JP Morgan raised Pharmasset's price target to $200 based on building momentum for the nuc class of Hep C therapies following the recent EASL meeting and expects significant de-risking of PSI-7977 in 2012. Shares are Overweight rated. This is absolute nonsense because PSI-7977 is a nucleotide analog and in such way it's a a potential human carcinogen. May be it was effective for short term usage (days) but long term (12 weeks and more) and in big population PSI-7977 can be dangerous. But who cares about this now? JP just want to sell their VRUS holding with 200-300% gain and help other holders who played this dirty designed game with pumping VRUS to $100 level. (i) Even if AZT were to inhibit HIV DNA synthesis 100 times more than cell DNA synthesis, it could not 'selectively' inhibit HIV, as is claimed by the manufacturer (Furman et al., 1986). Since HIV DNA measures only 10 kb and cell DNA measures 106 kb, and since both DNAs are made in vivo simultancously inside the same cell, cell DNA provides a 105-fold bigger DNA target for AZT toxicity than does HIV DNA. Therefore, the 100-fold higher selectivity of AZT claimed for HIV DNA synthesis is immaterial. (ii) Inhibition of HIV DNA synthesis in HIVantibody positive persons is completely unnecessary, because HIV does not spread in tte presence of antiviral antibody (Duesberg, 1992). It is for this reason that only about 1 in 1000 T-cells is ever infected in HIV-antibody positive persons (Duesberg, 1992). The fact that only about 0.1% of all susceptible T-cells are ever infected by HIV in HIV-positive persons with and without AIDS proves that HIV is very effectively neutralized by antiviral immunity. Moreover, there is no correlation between the number of HIV-infected cells and AIDS (Duesberg, 1993; Piatak et al., 1993). For example, there are healthy HIV-positive persons who have 30 to 40 times more HIV-infected cells than AIDS patients (Simmonds et al., 1990; Bagasra et al., 1992; Duesberg, 1992). (iii) Since only about 1 in 1000 T-cells are ever infected by HIV in persons with or without AIDS (Duesberg, 1992; 1992), AZT must kill 999 uninfected cells in order to kill just one HIV-infected cell - a very poor pharmacological index. Thus theory predicts that AZT cannot selectively restrict HIV replication in vivo. AZT can only inhibit HIV by killing infectod and uninfected target cells. Theory further predicts that AZT is unacceptable as anti-HIV therapy in HIV-antibody positive persons, because it will kill 999 uninfected cells for every infected cell. In response to these theoretical considerations it is argued by the manufacturer of AZT and its collaborators that, contrary to expectations, AZT is an effective anti-HIV drug, because cell division was observed to be 2000 to 20,000 times more drug-resistant than HIV replication (Furman et al., 1986). However, after AZT had been licensed for human use, several independent studies reported that the drug is about 20 to 1000 times more toxic to human cells in culture than the manufacturer had claimed, i.e. that the half inhibitory doses (ID 50) ranged between 1 and 50 µM (Table 1). In accordance with these results, life threatening toxicity including anemia, leukopenia, nausea, muscle atrophy, dementia, hepatitis and mortality, has been documented in humans treated with 20 to 60 µM AZT (Mir & Costello, 1988; Duesberg, 1992; Freiman et al., 1993; Tokars et al., 1993; Bacellar et al., 1994; Goodert et al., 1994; Seligmann et al., 1994). If these results were correct, both the dosage of AZT prescribed to humans and the advisability of AZT as an anti-HIV drug need to be reconsidered. In view of up to a 1000-fold discrepancy between the cytotoxicity of AZT reported by the manufacturer and his collaborators (Furman et al., 1986) and the cytotoxicitiesreported by other investigators (Table 1), we set out to redetermine the cytotoxicity of AZT. We have investigated the effects of AZT on the human CEM T-cell line and on several other human and animal cells in culture. In contrast to the previous studies, that measured toxicity over 1 to 3 rounds of mitoses, we decided to measure long-term toxicity over several weeks, representing up to 24 consecutive cell divisions. We reasoned that this experimental design would more closely mimic human exposure, which is indefinite, extending over numerous mitoses (Fischl et al., 1987; Volberding et al., 1990; Physicians' Desk Reference, 1994). Under the conditions AZT is prescribed as an anti-HIV drug, i.e. chronic application, it could indeed be more toxic than it is after only one or a few mitoses studied earlier, because non-lethal mutations would accumulate in surviving cells. Our experimental design would detect cumulative mutational toxicity acquired over several mitoses, in addition to the complete cytotoxicity observed in one or a few mitoses. As can be seen in Fig. 1, after four days the cell count of the culture at 25 µM AZT had been reduced to half of the control, and that of the culture at 10 µM AZT to two thirds of the control. After 12 days the cell densities of both AZT-treated cultures had been reduced to a third of the control culture. From then on, the density of the culture at 25 µM AZT continued to decline at a decreasing rate, and that of the culture at 10 µM AZT stabilized (Fig. 1). One possible explanation of the decreasing sensitivity of surviving CEM cells to AZT over time is that the dividing portion of the cells takes up all AZT in a short time, and that the resting portion of cells subsequently enters mitosis in a culture depletod of AZT. Another explanation suggests that variants are selected that do not incorporate AZT into DNA. To distinguish between these possibilities each AZT-treated culture was further divided into two. One of the two subcultures was maintained with daily medium changes containing 10 and 25 µM AZT respectively as before. The other subculture was supplemented, 12 hours after the medium including AZT had been changed, with the equivalent of an extra 10 and 25 µM AZT respectively. All cultures were further incubated under these conditions for another 32 to 36 days." VRUS never will show PSI-7977 long-term cell toxicity now. It will be big surprise for VRUS investors to know about these data may be even after phase III trial at FDA HCV panel. We have again some very good news for VRUS chart designer: suddenly "shares of the Princeton, N.J., company rose $3.33, or 3.3 percent, to $104.20 in pre-market trading because analyst Yaron Werber (Citi Investment Research) said the drug candidate, which is designated PSI-7977, could be approved as soon as mid-2014 to treat two relatively rare types of hepatitis C.
Werber previously thought PSI-7977 wouldn't reach the market until late 2015, and he raised his target on Pharmasset to $200 per share from $71 to reflect the chances of an earlier approval, which would boost sales of the drug. Really? Is this guy can still think? Werber said PSI-7977 could get to the market sooner if it is approved to treat hepatitis C genotypes 2 and 3, which make up a minority of cases. In late May, Pharmasset started a mid-stage clinical trial of PSI-7977 as a treatment for hepatitis C genotypes 1, 2, and 3. Genotype 1 makes up about 70 percent of hepatitis C diagnoses. Then there is a question: How it can get to the market sooner? Did VRUS already bribed FDA? Werber said he thinks the drug "will have solid data and will be one of the dominant drugs in hepatitis C."
This is really genius conclusions! Dominant drug in hepatitis C... Dominant drug against any viruses is a vaccine that prevent any spread of virus in human population. PSI-7977 is just a nucleotide analogue and HCV will easy overcome it by its extremely high mutation rate. So after 3-4 years of PSI-7977 usage we will have a virus strain that is absolutely resistant to VRUS drug. 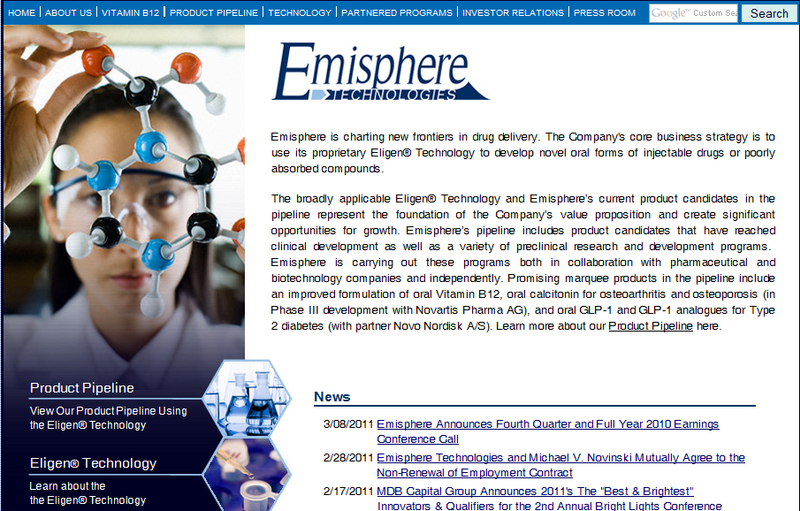 The analyst said Pharmasset should present study data in November and should start late-stage studies in early 2012. He thinks the company will be profitable in 2016. All this VRUS story remember me the tale about ratcatcherPied Piper of Hamelin. "He laid his pipe to his lips and a shrill keen tune sounded through street and house. And as each note pierced the air you might have seen a strange sight. For out of every hole the rats came tumbling. There were none too old and none too young, none too big and none too little to crowd at the Piper's heels and with eager feet and upturned noses to patter after him as he paced the streets. Nor was the Piper unmindful of the little toddling ones, for every fifty yards he'd stop and give an extra flourish on his pipe just to give them time to keep up with the older and stronger of the band. Up Silver Street he went, and down Gold Street (Wall Street? ), and at the end of Gold Street is the harbour and the broad Solent beyond. And as he paced along, slowly and gravely, the townsfolk flocked to door and window, and many a blessing they called down upon his head. As for getting near him, there were too many rats. And now that he was at the water's edge he stepped into a boat, and not a rat, as he shoved off into deep water, piping shrilly all the while, but followed him, plashing, paddling, and wagging their tails with delight. On and on he played and played until the tide went down, and each master rat sank deeper and deeper in the slimy ooze of the harbor, until every mother's son of them was dead and smothered." So question is when VRUS will be crushed? What is the key event for this? Answer is simple: when VRUS so-called "interferon-free" therapy will failed. Why it will failed? Because current pharmacological dogma holds that the interferon is a key player to fight virus infection. "As an infected cell dies from a cytolytic virus, viral particles are released that can infect nearby cells. However, the infected cell can warn neighboring cells of a viral presence by releasing interferon. The neighboring cells, in response to interferon, produce large amounts of an enzyme known as protein kinase R (PKR). This enzyme phosphorylates a protein known as eIF-2 in response to new viral infections; eIF-2 is a eukaryotic translation initiation factor that forms an inactive complex with another protein, called eIF2B, to reduce protein synthesis within the cell. Many viruses have evolved mechanisms to resist interferon activity. They circumvent the IFN response by blocking downstream signaling events that occur after the cytokine binds to its receptor, by preventing further IFN production, and by inhibiting the functions of proteins that are induced by IFN. Viruses that inhibit IFN signaling include Japanese Encephalitis Virus (JEV), dengue type 2 virus (DEN-2) and viruses of the herpesvirus family, such as human cytomegalovirus (HCMV) and Kaposi's sarcoma-associated herpesvirus (KSHV or HHV8). Viral proteins proven to affect IFN signaling include EBV nuclear antigen 1 (EBNA1) and EBV nuclear antigen 2 (EBNA-2) from Epstein-Barr virus, the large T antigen of Polyomavirus, the E7 protein of Human papillomavirus (HPV), and the B18R protein of vaccinia virus. Reducing IFN-α activity may prevent signaling via STAT1, STAT2, or IRF9 (as with JEV infection) or through the JAK-STAT pathway (as with DEN-2 infection). Several poxviruses encode soluble IFN receptor homologs—like the B18R protein of the vaccinia virus—that bind to and prevent IFN interacting with its cellular receptor, impeding communication between this cytokine and its target cells." 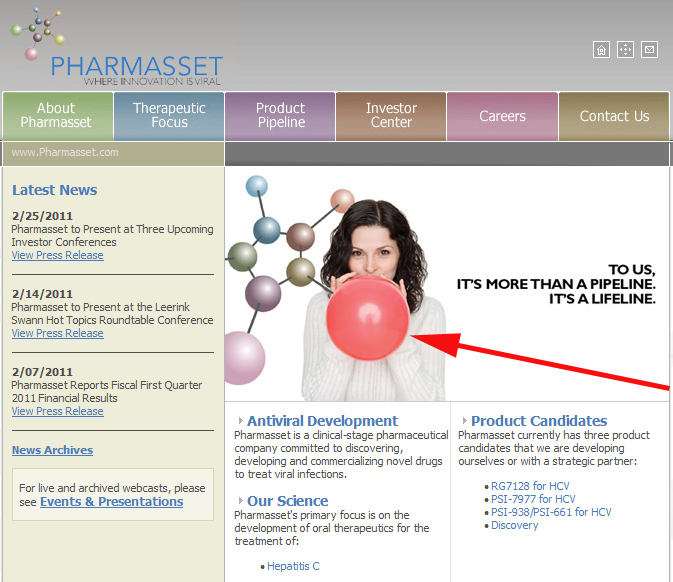 VRUS just fooled investors that it will have a oral only "interferon-free" HCV treatment. When it failed nobody can sue VRUS for this. "Vertex reported that 15 of 30 newly diagnosed hepatitis C patients treated with the Quad regimen that included a higher 400 mg dose of VX-222 were eligible to stop all treatment after 12 weeks. Of these 15 patients, 14 patients, or 93%, had undetectable levels of the hepatitis C virus 12 weeks after treatment ended. Another 13 patients treated with the Quad therapy were not eligible to stop therapy after 12 weeks, so they received an additional 12 weeks of treatment with interferon and ribavirin alone for a total treatment time of 24 weeks. When these patients were tested after the 24 weeks of treatment, all, or 100% of them, had undetectable levels of virus in their system. None of these patients can be considered cured until they are virus-free for 24 weeks after treatment ends, so this study continues. Based on historical results, however, most patients who are virus free after 12 weeks of post-treatment observation do achieve a final cure at 24 weeks. One patient able to stop treatment after 12 weeks suffered a relapse, meaning the hepatitis C virus re-emerged. It remains to be seen how many patients treated for 24 weeks will also relapse. The safety profile of the Quad was also encouraging, with diarrhea amongst the most prevalent side effects although no patients were forced to discontinue treatment due to diarrhea. These data suggest that Vertex's Quad therapy could result in a higher cure rate than what's seen with the current Incivek plus interferon-ribavin regimen that was approved and launched this spring. For some patients, the cure could come in a little as three months compared to six months for the most optimal treatment using Incivek, interferon and ribavirin. Vertex is expected to present additional data from this phase II study at the meeting of hepatitis C researchers in early November." This is a new breakthrough in HCV therapy: "100% of them, had undetectable levels of virus in their system"
Can VRUS show something better than 100%? So, in November Quad data will be presented. We will see how VRUS stock will react. Especially after VRUS Q3 earning release. Remember last release? "Revenues were $0.2 million during the quarter ended June 30, 2011 compared to $0.2 million for the quarter ended June 30, 2010 and include amortization of up-front and subsequent collaborative and license payments received from Roche. Net cash used in operating activities during the three months ended June 30, 2011 was $22.3 million. Pharmasset held $188.2 million in cash and cash equivalents as of June 30, 2011. Total operating expenses for the quarter ended June 30, 2011 were $22.6 million as compared to $15.7 million for the same period in 2010. Pharmasset reported a net loss of $22.6 million, or $0.60 per share, for the quarter ended June 30, 2011, as compared to a net loss of $16.0 million, or $0.50 per share, for the quarter ended June 30, 2010." With new initiated trials VRUS should burn cash like crazy may be $30M per quarter now so they have cash for 1 more year from today. And still no 1 phase III trial. Of course they can do next dilution easy and they will do it before the release of "interferon-free" HCV therapy results. 1. New Zealand Liver Transplant Unit, Auckland City Hospital, Auckland, New Zealand. 2. Gastroenterology Department, Christchurch Hospital, Christchurch, New Zealand. 3. Pharmasset, Inc, Princeton, NJ, United States. Background: PSI-7977, a uridine nucleotide analog, has demonstrated potent on-therapy viral kinetics in combination with pegylated-interferon and ribavirin in HCV GT 1, 2 and 3, leading to 100% SVR12 in GT 2/3 subjects after a 12 week treatment course (PROTON, EASL 2011) and as monotherapy in HCV GT1 (NUCLEAR, EASL 2011). This may be attributed to its inherent antiviral potency, a lack of pre-existing resistant HCV variants and/or no impact of IL-28b genotype. Thus, this study is designed to determine the optimal duration of pegylated-interferon alfa-2a (PEG), if any, required to achieve SVR in HCV GT2 or GT3 subjects when PSI-7977 is combined with Ribavirin (RBV) for 12 weeks. Methods: Treatment-naïve non-cirrhotic patients with HCV GT2 or GT3 were stratified by IL28B SNP (rs12979860) and HCV RNA and randomized to receive PSI-7977 (400 mg) plus RBV for 12 weeks, with PEG for 0, 4, 8, or 12 weeks with 10 subjects per group. Viral dynamics from interferon-containing arms are combined in this analysis through week 4. Results: 40 patients were enrolled, mean BL HCV RNA 6.49 log10IU/mL, with 42.5% CC genotype at the IL28B SNP. At the time of abstract submission, 34 of the 40 subjects enrolled have results at Week 4, including all 10 of the PEG-free subjects. Week 4 antiviral response rates were similar in the PEG-free and PEG-containing arms as assessed by decline in HCV RNA and proportion of subjects with HCV RNA〈LOD (15 IU/mL). A majority of subjects achieved HCV RNA 〈LOD by Wk2 (32/40) including 8/10 subjects in Cohort 1 (no PEG). All 10 subjects in Cohort 1 (no PEG) achieved RVR, as did all patients reaching Wk4 to date in Cohorts 2-4. No virologic breakthrough has been observed during the ongoing twelve week dosing period in any treatment group, during or after PEG dosing. Preliminary safety review revealed no discontinuations and no SAES to date. In Cohort 1, patients who did not receive PEG had significantly less neutropenia and thrombocytopenia, as expected, with no grade 3/4 lab events reported. Data on SVR12 and an ongoing interferon and RBV free arm will be presented. Conclusions: PSI-7977 with RBV elicited rapid declines in HCV RNA when administered with or without PEG. No viral breakthrough has been observed to date. High on-treatment response and lack of viral resistance, even in the absence of PEG, confirm the high barrier to resistance in this patient population. The potent antiviral efficacy in association with a promising safety profile, support the continued exploration of PSI-7977 with abbreviated interferon duration, as monotherapy, or with other DAA in patients with all HCV genotypes. Impressive results? Do we have a "interferon-free" HCV therapy? Adam F. said it in not hard words: "All the patients enrolled in the study were genotype 2 and 3, a less common and more easily treated variant of hepatitis C."
Responses can vary by genotype. Approximately 80% of hepatitis C patients in the United States have genotype 1, and genotype 4 is more common in the Middle East and Africa. Hepatitis C virus genotypes 2 and 3 are less common. Only 10 to 20 percent of infected people in the U.S. have either of these genotypes. GT 2 and 3: Sustained cure rates (sustained viral response) of 75% or better are seen in people with HCV genotypes 2 and 3 with 24 weeks of treatment. Patients achieving HCV RNA below 1000 IU/mL by day 7 (i.e. just prior to the second dose of pegylated interferon) may be treated for as little as 12 weeks with retained sustained cure rates. GT 1 Sustained response is about 50% in patients with HCV genotype 1 given 48 weeks of treatment. In patients with HCV genotype 1, if treatment with pegylated interferon + ribavirin does not produce a 2-log viral load reduction or complete clearance of RNA (termed "early virological response") after 12 weeks the chance of treatment success is less than 1%. GT 4 Sustained response is about 65% in those with genotype 4 given 48 weeks of treatment. GT 6 The evidence for treatment in genotype 6 disease is currently sparse, and the evidence that exists is for 48 weeks of treatment at the same doses as are used for genotype 1 disease. Physicians considering shorter durations of treatment (e.g., 24 weeks) should do so within the context of a clinical trial. So, VRUS "interferon-free" drug will not cure the majority of US patients infected with GT 1. The GT 2 and 3 were really easy cured by old HCV therapy in short time. What is about real cure for HCV GT 1? 1. University of Florida College of Medicine, Gainesville, FL, United States. 2. Auckland City Hospital, Auckland, New Zealand. 3. Weill Cornell Medical College, New York, NY, United States. 4. St. Louis University School of Medicine, St. Louis, MO, United States. 5. Vertex Pharmaceuticals Incorporated, Cambridge, MA, United States. 6. John Hopkins University, Baltimore, MD, United States. Background: ZENITH is assessing the safety, tolerability, and antiviral activity of VX-222 (an HCV polymerase inhibitor) with telaprevir (T, a protease inhibitor), respectively alone (DUAL), with ribavirin (Triple) or with peginterferon alfa-2a (P) and ribavirin (R) (QUAD) in chronic HCV genotype 1 treatment-naïve patients. VX-222 at 400 mg (Arm D, n=30) plus T 1125mg bid, P 180µg/week, and R 1000-1200mg/day for 12 weeks. Patients with undetectable HCV RNA at Weeks 2 and 8 (Roche Taqman® v2 LLOQ 25 IU/mL and LOD 10-15 IU/mL) were eligible to stop all treatment at Week 12; those who were detectable at Week 2 and/or 8 received a total of 24 weeks of PR. Results: No viral breakthrough (vBT) was observed in either QUAD arm. 11/29 and 15/30 patients from arm C and D, respectively, were eligible to stop treatment at Week 12. Of those, 82% (9/11) and 93% (14/15), respectively achieved SVR12, the remaining 3 patients relapsed. 14/29 (arm C) and 13/30 (arm D) patients did not meet the short duration criteria and received 24 weeks of treatment; data was available for 26/27 patients. All 26 (100%) had undetectable HCV RNA at week 24 (EOT). 4/29 (arm C) and 2/30 (arm D) patients discontinued treatment prior to week 12; of these 2/4 (Arm C) had SVR. The most frequently reported adverse events were fatigue in 56% (33/59; mild 69%, 23/33) of patients, nausea in 49% (29/59; mild 72%, 21/29), diarrhea in 48% (28/59; mild 89%, 25/28), anemia in 37% (22/59; mild 36%, 8/22), pruritus in 34% (20/59; mild 65%, 13/20), and rash in 31% (18/59; mild 72%, 21/30). Severe events observed in at least 2 patients were: neutropenia (5.1%, 3/59), hypomagnesemia (3.4%, 2/59), and anemia (3.4%, 2/59). Three patients (10%) in each arm discontinued all study drugs due to AEs during the overall treatment phase; two patients in each arm discontinued treatment before Week 12, one patient in each arm discontinued treatment while on PR only. Conclusions: QUAD therapy with VX-222, telaprevir, and PR is associated with a high rate of antiviral activity in genotype 1, treatment-naïve patients and a safety profile similar to T/PR with a higher rate of mild GI events. There was no on-treatment viral breakthrough and 38-50% of patients were able to undergo only 12 weeks of therapy, resulting in 82-93% SVR12. Patients receiving 24 weeks of therapy had high EOT responses; final SVR data will be presented. So QUAD is very effective for GT 1 HCV i.e. it will cure >80% of US HCV patients. Conclusion: VRUS management use dirty tricks to fool investors. PRINCETON, N.J., Oct. 10, 2011 /PRNewswire/ -- Pharmasset, Inc. (Nasdaq:VRUS - News) announced today the addition of two treatment arms to the ELECTRON trial of PSI-7977, a nucleotide analog polymerase inhibitor, for the treatment of chronic hepatitis C (HCV). The rapid and consistent antiviral effects and high barrier to resistance demonstrated with PSI-7977 to date provided the rationale for additional exploratory regimens in this setting. The protocol amendment adds one arm exploring 12 weeks of PSI-7977 monotherapy in treatment naive patients with HCV genotype 1 (GT1), and one arm of PSI-7977 and ribavirin (RBV) in treatment-experienced patients with HCV genotype 2 (GT2) or genotype 3 (GT3). In addition, the previously announced arm in HCV GT1 patients with a prior "null" response to an interferon (IFN) containing regimen, which was planned to assess PSI-7977/IFN/RBV, has been modified to an IFN-free 12-week regimen of PSI-7977/RBV. In addition to previously announced interferon-free studies of PSI-7977 by Bristol Myers Squibb and Tibotec, The National Institute of Health (NIH) recently initiated an interferon-free 24 week study of PSI-7977 400mg QD with and without ribavirin, in 60 treatment naive patients with HCV genotype 1 (GT1) in the US. Following on the previously reported 100% SVR12 in treatment-naive subjects with HCV GT2/3 (PROTON), a 6th cohort was added to ELECTRON to explore an 8-week duration of PSI-7977Peg-IFN/RBV. The previously announced 7th cohort in HCV GT1 patients with a prior "null" response to Peg-IFN, has been modified to an interferon-free 12-week regimen of PSI-7977/RBV. In Part 3 of ELECTRON, two additional IFN-free regimens will be explored in treatment-naive patients with HCV GT1 and in treatment-experienced patients with HCV GT2 or GT3. So, VRUS game is over finally. Usually if some biotech has a drug candidate they test it as monotherapy. And if it failed to show a big difference in comparison with SOC this company may combine this candidate with SOC hoping to get some synergetic effect. In case of VRUS they did everything in different order and nobody mentioned it. Now they will test PSI-7977 as a monotherapy and everybody will see how strong was their candidate. VRUS also continue to test everything in phase II to avoid a big patient numbers. "Vertex Pharmaceuticals (Nasdaq: VRTX) shares were down almost 7 percent in afternoon trading Monday on competitive fears , after rival hepatitis C treatment developer, Pharmasset Inc. announced it would expand a late-stage trial for its potential therapy, indicating that the drug candidate is working." trial was expanded and it's"indicating that the drug candidate is working" ? So before it was under a question? BTW VRTX has a strongest HCV treatment in the world now and it will have it next 4-5 years. Then VRTX will test QUAD in phase III against HCV GT1 and will again have a strongest HCV treatment. VRUS game is over and all VRUS trump cards are covered. $6B bluff is crashed and in 2012 we will have VRUS just as middle cap biotech with $1 cap without phase III trials and products. And may be in some 2015-16 after NDA we will remember this $6B biotech bluff. It was perfectly designed biotech bluff and good lesson for bioetch investors. Next time I will join it at the beginning. JAZZ is next in 2012.